On the 21st Of March, 2019, the world celebrated, as we all should, the World Down Syndrome Day with the theme “I’m coming with you.” The overall aim of the day is to raise public awareness of Down Syndrome and getting to know the people with the syndrome. Of course, Mali could not remain on the sideline of this celebratory day! 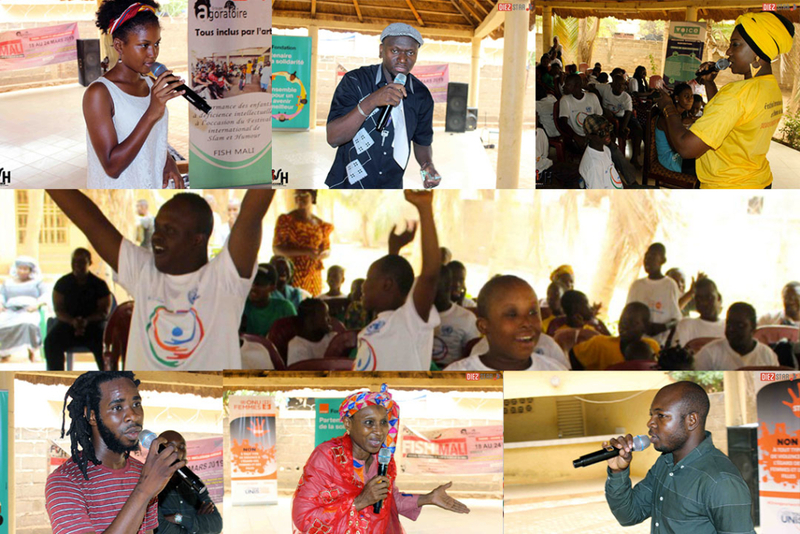 Indeed, through Voice in Mali and the International Festival of Humour and Slam (FISH), a reception was organised by Agoratoire in a community centre in Bamako designed for children and adolescents with intellectual disabilities (Housna Ka So). Trisomy 21 also known as Down syndrome, is a condition caused by an abnormality in chromosomes (cellular structures that contain the genetic material of an organism). People with Down Syndrome have three chromosomes 21 instead of a single pair. This is why the 21st day of the third month 21/3 has been chosen to celebrate the World Day. Overall, the imbalance of the functioning of the genome (the entire genetic information present in human cells) and the body cause permanent mental damage resulting in developmental delays. 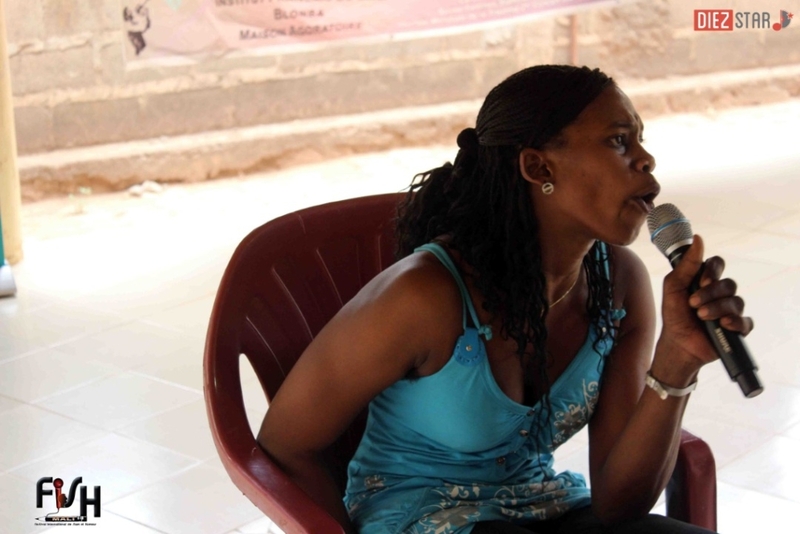 In Mali, the celebration of this World Down Syndrome day coincided with the 6th edition of FISH. 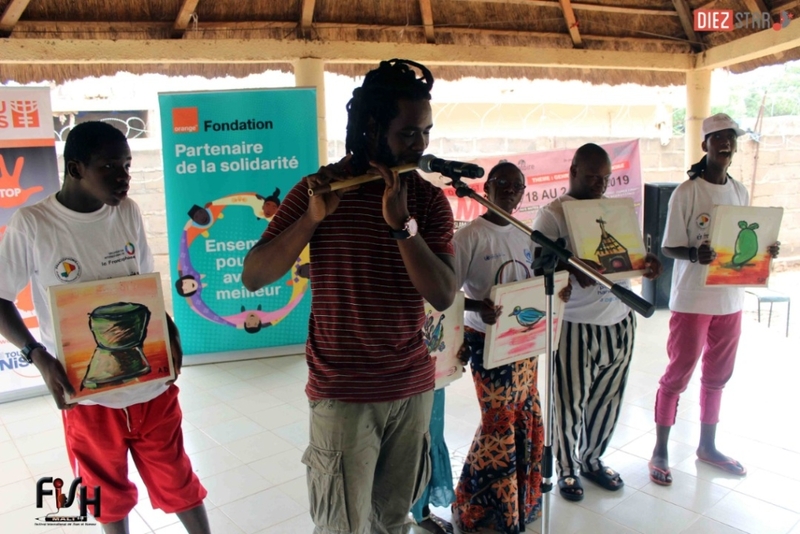 This was an opportunity for artists and slammers from Burkina Faso, Côte d’Ivoire, Comoros islands and Mali to support young people with intellectual disabilities. 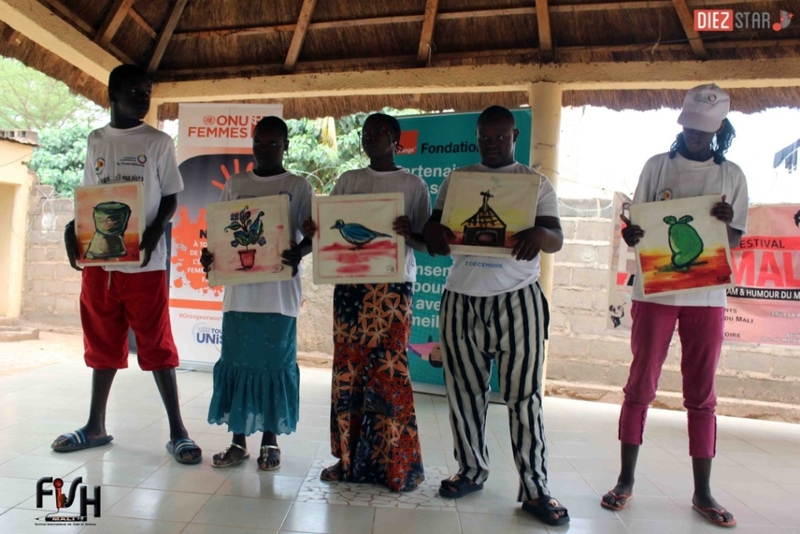 In the spirit of 21 March, the centre of Housna Ka So and the Malian Association for Mental Disabilities or AMALDEM benefited from workshops in slamming and visual art. Students from both schools presented their work, such as slam performances and design thus further advancing their integration into society as well as individual development. Each child with Down syndrome has his or her own personality and needs more love and support than others. The event was honoured with the presence of several personalities including the Deputy Director of Bamako’s City of and for Children, national representatives of the department for the promotion of children and family, the Directors of « Housna ka So » et de l’AMALDEM and the director of FISH Mali.
" In difference lies a chance and opportunity"